With a growing industry of products, services, and even TV shows, dog training is big business in the United States and Canada. But some of the most popular practices in the dog training world are abusive and rely on dominance and intimidation to control behavior. 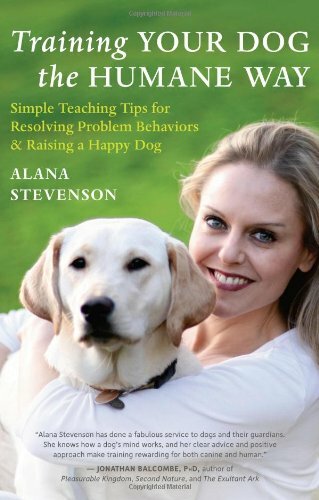 Alana Stevenson, author of Training Your Dog the Humane Way: Simple Teaching Tips for Resolving Problem Behaviors & Raising a Happy Dog, joins us to talk about how to teach and learn with our animal companions by using positive, kind and compassionate methods. Stevenson’s work is a welcomed alternative to an industry awash with harmful training methods that don’t put the dogs interests first. Tags: Alana Stevenson, Companion Animals. Bookmark the permalink. I have a copy of Alana Stevenson’s book. It really helped with the introduction of my two dogs. Thanks Alana! That’s great to hear! The AV team learned a lot from Alana as well. Thanks for sharing.